Speakers, Guests and Contributors at the 2018 International Forum include the following. Kevin Vickers was born and raised in Miramichi, New Brunswick. Following 29 years service with the Royal Canadian Mounted Police, he was appointed Sergeant-at -Arms for the House of Commons in Ottawa. He was hailed as a hero by Canada’s parliamentarians, and other prominent Canadian and international figures for his actions in stopping the October 2014 attack at the Parliament of Canada, for which he received the Star of Courage and Order of New Brunswick. He has also received Queen Elizabeth II Golden Jubilee Medal, Royal Canadian Mounted Police Long Service Medal. He has been the Canadian Ambassador to Ireland since 19 January 2015. Brian MacCraith is President of Dublin City University, where he holds a Personal Chair in Physics. He is a member of the Royal Irish Academy (RIA), a Fellow of the Institute of Physics, a Fellow of SPIE (the international Photonics Organisation), and a Fellow of the Irish Academy of Engineers. Under his term as President, DCU has developed a significant international profile, with major academic and research partnerships across the globe. Building a strong reputation for innovation, DCU is ranked consistently as one of the world’s top young universities. Alice-Mary was elected to Seanad Éireann in 2016. An advocate for social and economic equality all her adult life, Alice-Mary keeps these principles to the fore in the Seanad and works to bring care, creativity and long-term thinking into the heart of political debate. Alice-Mary leads the Civil Engagement Group in Seanad Éireann, a group of independent Senators with backgrounds in the NGO sector and civil society and is committed to bringing the voice of civil society into the Seanad chamber. Alice-Mary graduated from UCD in 1996 with a degree in English and Philosophy. She holds an MPhil in Theatre and Cultural Studies (TCD) and is a Fullbright Scholar in the Humanities. In 2002 she graduated from the New School in New York with a Masters Degree in Sociology. Prior to her Seanad election, Alice-Mary worked as policy coordinator at the National Women's Council of Ireland. Here her work focused on a range of gender equality issues – including the pension and pay gap, childcare and greater representation of women in all areas of national life. Dr. Julie Rodgers is lecturer in French at Maynooth University of Ireland. Her research and teaching focuses on contemporary Quebec literature and culture and women’s writing in French. Julie is the current president of the Association of Canadian Studies in Ireland and a past recipient of the Prix de la Délégation du Québec and the Understanding Canada award. Originally from Dublin, Robert G. Kearns graduated with an Arts Degree in Archaeology and Greek and Roman Civilization from University College Dublin, before immigrating to Canada in 1979. Since then, he has built a successful career in the Canadian business insurance market. Since his arrival in Canada, he has been continuously involved in Irish-Canadian business and cultural relations, making significant contributions to a number of Irish-Canadian organizations. These include the Ireland Fund of Canada as a Director and Chair (1980-2004), Chairman of the Campaign for Celtic Studies at St. Michael’s College at UOT (1998-2008). He was a Founding Director of the Ireland-Canada Chamber of Commerce, and is the Chairman of the Board and Founder of Ireland Park Foundation, 1997 to the present. In 2008, Robert was awarded an Honorary Fellowship from St. Michael’s College at the University of Toronto. In December of 2016, he was the Canadian recipient of the Irish Presidential Distinguished Service Award for the Irish Abroad. Robert believes passionately in the importance of contributing to all aspects of the vibrant arts community in Toronto and abroad. Much of his personal time is spent pursuing these interests. Regina Uí Chollatáin is the Head of the UCD School of Irish, Celtic Studies and Folklore and Head of Irish Studies. Her areas of research are Irish language media, and the Revival period, examining the evolution of the public sphere of the media from Gutenberg to Bolg an tSolair (1795), and on to present day print, broadcast, and online forums. She is currently a member of the Royal Irish Academy committee for Irish Language Scholarship, Irish Literature and Celtic Culture. Dr. Úna Monaghan is a harper, composer, and sound artist from Belfast, Ireland. Her recent work has combined traditional music with bronze sculpture, sound art and movement sensors. She is currently the Rosamund Harding Research Fellow in Music at Newnham College, University of Cambridge. Her compositions have been presented on BBC and RTÉ television and radio, in theatre productions, and at international festivals and conferences. Odhrán has extensive experience as a performer in both the classical and traditional genres, and is an accomplished performer on the uileann pipes. He has performed as a soloist with numerous orchestras, including the Orchestra of the Royal Northern College in Manchester, the Denver Symphony Orchestra, Colorado. On the traditional front, he has performed concerts with some of the leading Irish musicians such as Iarla O Lionard, Steve Cooney, Mary Black, Christy Moore, Sinéad O Connor and Liam Ó Maonlaí. He has composed for feature films and RTE TV, has a range of primary recordings and most recently composed Marbhna 1916 a requiem reflecting two great musical traditions in Ireland at the time of the Rising in 1916 – classical and traditional. He has been commissioned by Ireland Park Foundation to compose a suite to be premiered at the opening of Grasett Park in Toronto in 2019. This moving work will reflect the ultimate sacrifices made by Canadian medics and clergy of all denominations in assisting those fleeing famine in Ireland in 1847. He has performed throughout the world, including Carnegie Hall, Radio City Music Hall and St. Patrick’s Cathedral, New York; Massey Hall, Toronto; Royal Albert Hall, London, and on the steps of St. Peter’s Basilica, Rome, in the presence of Pope John Paul II. He will present a suite of traditional music to Pope Francis on his forthcoming visit to Knock. James is Director of the D'Arcy McGee International Forum, and CEO of Ireland Canada Univeristy Foundation. A graduate of UCD and KU Leuven (Belgium), James is driven and inspired by values of community and creativity. He worked the areas of theatre, danc and the visual arts, experience which greatly informed his subsequent work as a documentary filmmaker. He remains connected to the arts, and is Chair of the internationally acclaimed Pan Pan Theatre Company. As a film director, with support from the Arts Council,TG4, RTE, the Irish Film Board, James has made work which has broadcast nationally and internationally, and screened regularly at film festivals across Europe and North America. James's connection to Canada was forged when he spent two years living in St. John's Newfoundland, during which he travelled across Canada. Jane Urquhart is a Canadian novelist and poet. She is the internationally acclaimed author of eight award-winning novels, three books of poetry and numerous short stories. Her writings have won the Prix du Meilleur Livre Etranger, the Trillium Award, and the Governor General's Literary Award. She is a Chevalier dans l’Ordre des Arts et des Lettres in France, and is an Officer of the Order of Canada. Jane was the 2017-18 Craig Dobbin Professor of Canadian Studies at University College Dublin. Christine Elliott MPP is Deputy Premier of Ontario and Minister of Health and Long-Term Care, representing the riding of Newmarket-Aurora. She was a founding member and partner of the Whitby law firm Flaherty Dow Elliott & McCarthy, where she practised in real estate, corporate/commercial, and estate law. She is the co-founder and director of the Abilities Centre, a director and past chair of Grandview Children’s Centre and a director of the Lakeridge Health Whitby Foundation. Christine was married to Jim Flaherty, Canada's Minister of Finance (2006-2014), who passed away in 2014. A civil trial lawyer by training, James is originally from Thunder Bay but has lived and worked in Toronto for forty years. In 2015, he was elected to Parliament, representing the electoral district of Etobicoke—Lakeshore, as a member of the Liberal Party caucus. James is currently the Chair of the House of Commons Natural Resources Committee. A regular visitor to Ireland, James is Chair of the Canada-Ireland Interparliamentary Group. 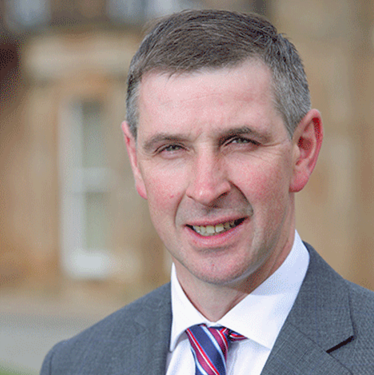 Ian Marshall was elected to Seanad Éireann in April 2018 in a by-election for the Agricultural Panel. From a unionist background, Ian has never been a member of a political party, and sits in the Seanad as an independent. A dairy farmer from Markethill, Co Armagh, Ian was president of the Ulster Farmers’ Union (UFU) from 2014 to 2016. In August 2017, he was appointed Business Development Manager at the Institute for Global Food Security in Queen’s University Belfast. Ruth Dudley Edwards read history at University College, Dublin. In 1978 she won the National University of Ireland Prize for Irish Historical Research for her biography of Patrick Pearse and in 1998 the James Black Tait Memorial Prize for her biography of Victor Gollancz. Ruth Dudley Edwards is an historian, prize-winning biographer, a noted writer of crime fiction and a prolific journalist. She has been Chairwoman of the British Association for Irish Studies (1985–93) and a member of the Executive Committee of the British-Irish Association (1982–93). She is a columnist with the Sunday Independent. Linda Ervine is a language rights activist from East Belfast, Northern Ireland. She is a supporter of the Gaelic Irish language and Ulster-Scots. Linda established the Turas Irish Language Programme on the Newtownards Road in Belfast, which currently caters to over 150 learners of the Irish langauge. the Soul’ CD with Roy Arbuckle. Anne hosts her own sellout shows as part of City of Derry Jazz Festival, and she is a regular guest of the Foyle Folk Club. Desmond is Chair of the Ireland Canada University Foundation. A chemical engineering graduate of University College Dublin, where he was auditor of the Literary and Historical Society (L&H), Desmond conducted post graduate work at the University of New Brunswick, where he obtained an MEngSc and was also a faculty member. He was awarded an Honorary DSc by UNB in 1995. Desmond was a founder member of the UCD Engineering Graduates Association and of the Campus Companies Venture Capital Scheme. 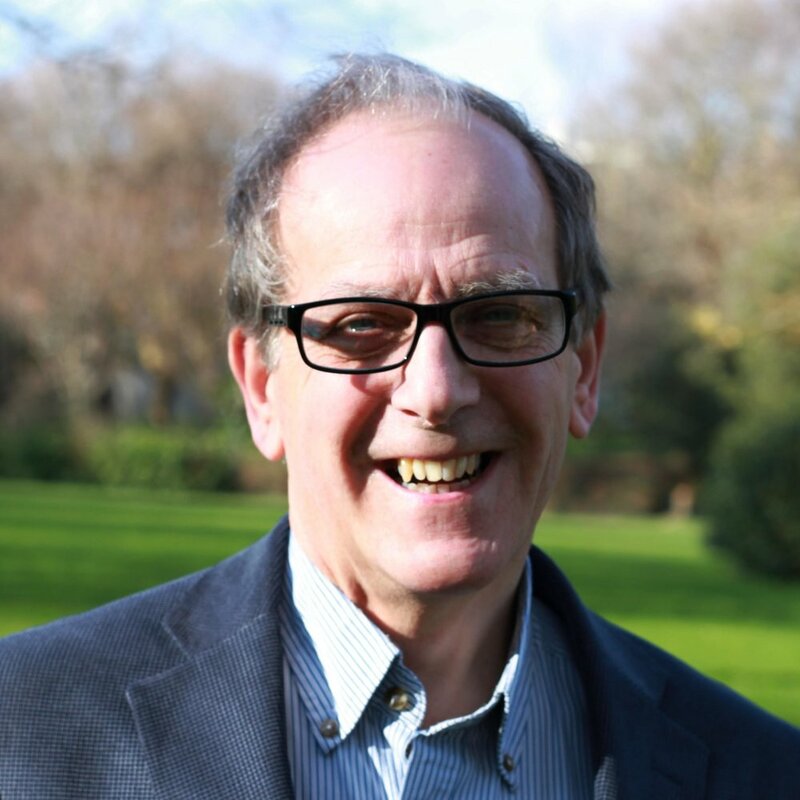 He was a founder member and former chairman of Educate Together, the patron body for a multi-denominational school movement, which now educates over 20,000 children across Ireland. An historical geographer, retired from Anglia Ruskin University, Anthony was academic consultant to Dundalk Institute of Technology and the University of Ulster’s Borderlands degree, and to World Education’s Global Border Studies, which offered higher education programmes in refugee camps on the Thai Myanmar border. In collaboration with the Canadian Museum of History, he is the creator and director of the permanent exhibition ‘D’Arcy McGee Irish Rebel Canadian Patriot’. He has published two texts on John Mitchel, and his plays ‘The Trial of P H Pearse’ and the ‘Trial of the Orange Order’ have been performed in Canada, at various venues in Ireland, including the Shankill Road, Pearse’s birthplace and the Armagh Market Place theatre. Sibéal's live performance of 'Mise Éire' as part of RTÉ's '1916 Centenary' concert captured the hearts of audiences in Ireland and throughout the world and has won her critical acclaim from her peers. Sibéal grew up in a musical family in the Rathcarn Gaeltacht of Co. Meath. She is a member of the next generation of the renowned Ó Casaide family, known as Na Casaidigh, to be recognised in her own right as a unique talent of her generation. She has performed with the RTÉ Concert orchestra, and has performed in London, New York and Toronto, and has recently signed an international recording contract with Universal and will release an EP recorded in Abbey Road, London later this year. Her debut album will come to the market in the near future. She is looking forward to future Irish and international performances and new recording projects. 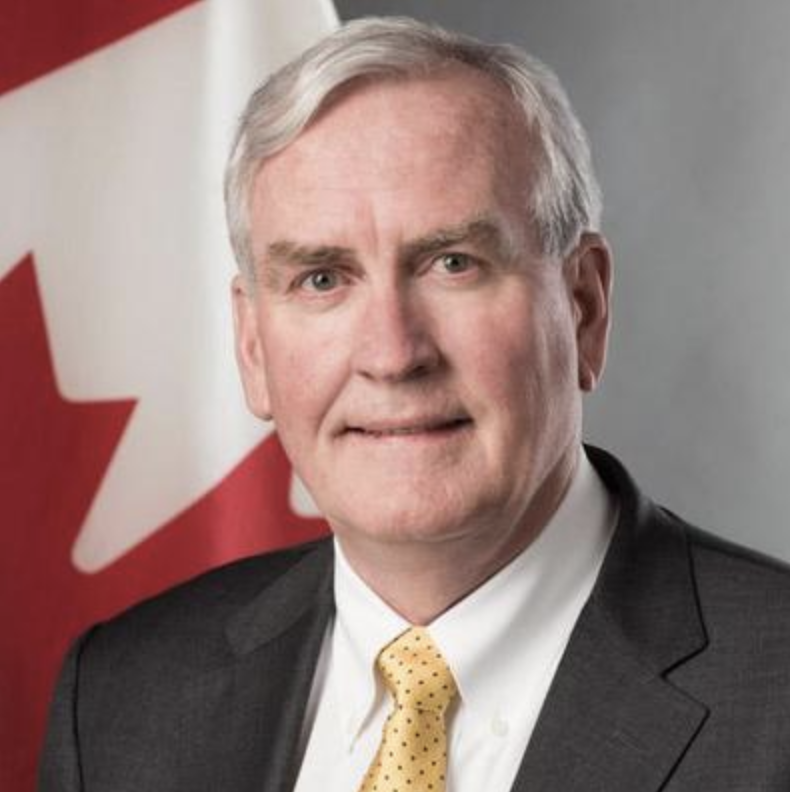 General John de Chastelain is a retired Canadian Forces officer, the former head of Canada's military and former Ambassador of Canada to the United States. He has played a key role in the Northern Ireland peace process and was chair of the Independent International Commission on Decommissioning. He helped forge the Belfast agreement, the blueprint for peace in Northern Ireland, signed on Good Friday, 1998. In 2017 he received the President of Ireland's Distinguished Service Award. Joseph Norton is the Grand Chief of the Mohawk Council of Kahnawake. Chief Norton has worked to reduce racial, governmental and linguistic divides in his community. He has also founded Mohawk Internet Technologies and Tewatohnhi'saktha Economic Development Commission. Through these accomplishments, he has brought to Kahnawake health care, education, care for seniors,and made at home policing and culture and recreation. Dr. Vianne Timmons is the President and Vice-Chancellor of the University of Regina and maintains a wide-ranging research program, with particular emphasis on family literacy and inclusive education. She has received various honours including being named an Officer of the Order of Canada in 2017, one of Canada's "Top 100 Most Powerful Women" in 2008 through 2011. Vianne was recognized by the Red Cross with its Humanitarian Award in 2013. Marc André Fortin is Associate Professor of English and Comparative Canadian Literature at l’Université de Sherbrooke, Quebec. His research intersects with question on the representation of science in Canadian and international literatures, Indigenous literature, and literature of the Anthropocene. His work connects historical colonial presence in Canada with contemporary issues of social justice and activism, from colonial archives and appropriation, to environmental protection and treaty rights. He is co-editor of the journal Mémoires du livre/Studies in Book Culture. Dr. Anita Sands is a Board Director of three Silicon Valley public companies – Symantec Corporation, Service Now, and Pure Storage, and serves as an advisor to Grand Central Tech, a leading NYC technology incubator where she mentors startup tech companies. A native of Co. Louth, Anita earned both her Ph.D. in atomic and molecular physics and bachelor’s in physics & applied math from Queen’s University Belfast. She earned her M.S. in public policy and Management from Carnegie Mellon University in Pittsburgh where she was a Fulbright Scholar. She is also a member of the International Women’s Forum, the New York Women’s Forum, and a mentor for W.O.M.E.N. in America – an organization that enables women to fulfill their maximum potential in their chosen profession. Mark is the author of the memoir 'Forgiveness', winner of Canada Reads 2018 and #1 national bestseller in Canada. A lawyer by training, he has enjoyed a rich and varied career. He began his professional career in live music, working with several international acts. He has worked at a national law firm, a national broadcaster and has served as a senior political advisor to a national party leader. He is an entrepreneur and investor in digital health, digital media and real estate. Mark sits on the Board of the Trudeau Centre for Peace, Conflict and Justice in the University of Toronto, and on the Board of the Ontario Media Development Corporation, and is Executive Vice President of Think Research. Dermot Nolan has served as president of the Ontario Trial Lawyers’ Association, the Hamilton Law Association and the Hamilton Medical Legal Society. In 2000, he received the Emilius Irving award, the highest honour of the Hamilton Law Association. In 2014 he was appointed a deputy judge of the Ontario Superior Court of Justice, and in 2015 he was named Hamilton’s Irish Person of the Year. A former professional actor with Canada’s Stratford Shakespeare Festival, he is also a playwright whose play about Thomas D’Arcy McGee, “It’s Morning Now”, had its Canadian premiere in 2017. Dr. Jane McGaughey is the President of the Canadian Association for Irish Studies and is an Associate Professor of Irish Diaspora Studies at Concordia’s School of Irish Studies. She has a forthcoming book with Liverpool University Press, Violent Loyalties: Manliness, Migration and the Irish in the Canadas, 1798-1841. This work examines stereotypes about violence and Irish male immigrants in pre-Confederation Canada. She also has a co-edited collection coming out later this year with Palgrave entitled, Ireland and Masculinities in History. Dr. Katy Hayward is a Reader in Sociology at Queen’s University Belfast, and Fellow in the Senator George J. Mitchell Institute for Global Peace, Security and Justice. Dr. Hayward has twenty years’ research experience on the impact of the EU on the Irish border and peace process. She has presented widely to various audiences on the topic of Brexit and Northern Ireland. Natalie is the Director of the Digital Repository of Ireland, a national trusted digital repository for Ireland’s social and cultural data. She is involved in a number of national and international activities that support and promote digital preservation, particularly as an aspect of digital cultural heritage, data sharing, and Open Science practices. Recently, Natalie was appointed to the European Commission's high level expert group on FAIR data implementation. She is a member of Ireland's National Archives Advisory Committee (NAAC), and serves on a variety of Irish and European programme committees, working groups, and advisory boards. Before she moved to Ireland, Natalie was a lecturer at Queen’s University (Kingston), and before that, Celtic Studies at the University of Toronto. Her research focused on Irish identity, politics, and historiography, as seen through the critical lens of contemporary Irish theatre and film. Natalie holds a PhD in Drama from the University of Toronto.